If you have a life-threatening emergency, please call 911 or proceed immediately to the nearest emergency room. The emergency room will contact Dr. Hirsch after you arrive. What if I have an urgent but non-life threatening medical questions that arises after hours? Please contact Dr. Hirsch directly on his cell phone at 301-580-4209. Note: To reach Dr. Hirsch after-hours you must call and leave a voicemail message on his cell phone. Dr. Hirsch is not able to respond to text messages or after-hours Portal Messages. What if my child does not have a true medical emergency but I need some advice on what to do now? Fortunately the vast majority of childhood illnesses and injuries can safely wait until the next business day. Please see our section Hirsch Medical Advice for specific guidance on how to manage typical concerns like fever, vomiting, and cough/congestion. If you are still concerned, then please call Dr. Hirsch directly on his cell phone and leave a voicemail message. 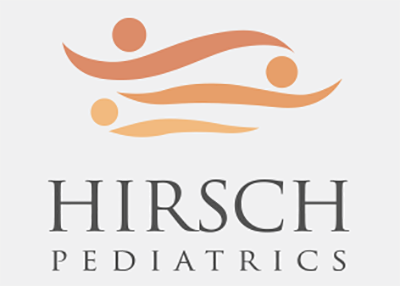 If I am still concerned and my child needs to be seen after-hours, where does Dr. Hirsch recommend that I take my child? PM Pediatrics was chosen as the preferred after-hours care center for Hirsch Pediatrics because it provides the highest standard of pediatric patient-centered after-hours care. PM Pediatrics has committed that all children are seen by pediatric-trained providers and is able to manage more complicated conditions including dehydration with intravenous fluids, asthma exacerbation, complex lacerations, and fracture management. Note: For circumstances where your child needs to be seen at a hospital emergency room (i.e. fever in a newborn, uncontrolled seizures, loss of consciousness), I recommend the Shady Grove Adventist Hospital (SGAH) Pediatric Emergency Room in Rockville (located about 1 mile from Hirsch Pediatrics). The SGAH ER offers the highest level of ER care with specialty trained pediatric ER physicians.